I have done more digital manipulation on this Sparrowhawk than I normally can find time for. It has just taken off from an ugly, metal perch at a feeding station. I have cloned out the perch, which was a bit fiddly around the feet. I normally do not have the patience for such time consuming work and claim to have done about 7 pictures with this degree of manipulation since I started on digital photography. 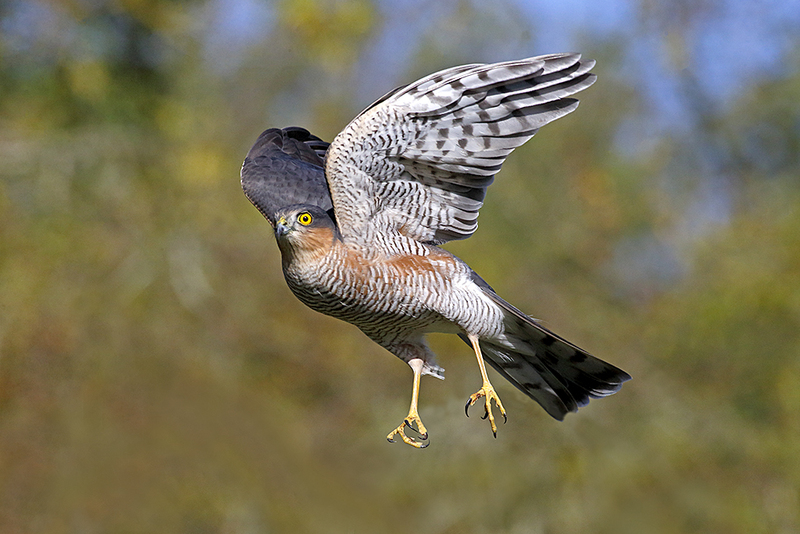 Posted on October 20, 2014, in Uncategorized and tagged flight, Sparrowhawk. Bookmark the permalink. 1 Comment.